Victor® Easy Set® Gopher Trap | Brazos Feed & Supply, Inc.
Offer valid through: 04/26/19. Some restrictions may apply. When you see gopher holes popping up in your yard, you'll want to have one of these on hand. The Victor® Easy Set® Gopher Trap effectively kills gophers without the use of chemicals or poisons. 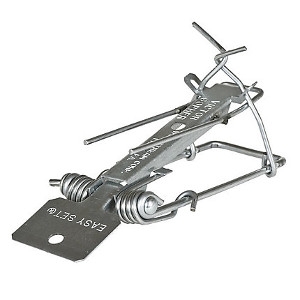 The trap features galvanized steel construction for superior strength and durability. The trap’s narrow design with short base allows for easy insertion into gopher tunnels and keeps moving parts completely below the surface, safely away from children and pets.